I'm going to keep this review fairly short and sweet, as this was a fairly short and sweet e-book! I am NOT a morning person. I am always telling myself that I'm going to wake up at 5 am and do my full Miracle Morning routine...and I am chronically disappointing myself. So, while perusing books on my Kindle, I came across this cheap little book (just keeping it real here!!) and thought hey...why not?? 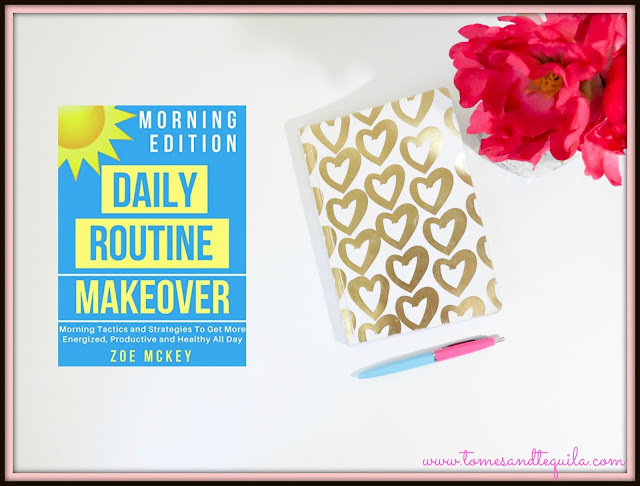 The Daily Routine Makeover: Morning Edition by Zoe McKey I believe is available only as an e-book or a Createspace Paperback. Coming in at a whopping 128 pages, I managed to read it super quick one night when I was having trouble sleeping. Chances are I was probably laying there thinking about how I needed to get up early and exercise in the morning. I initially gave it 3 stars on Goodreads, but in looking at my highlights to write the review...and seeing that I highlighted almost the entire damn book...I guess in all fairness I should change it to 4! 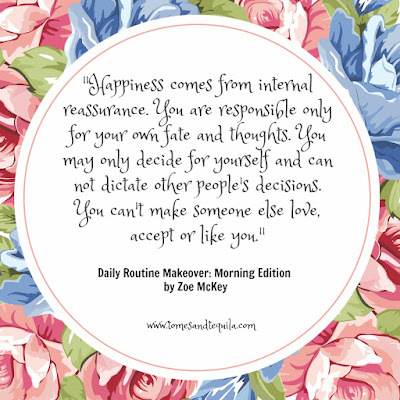 But it is very simplistic, so if you are one of those people who hop out of bed peppy every morning, this is not the book for you. The first big takeaway for me came in the first 19 pages. The author says that she realized that her self-help books weren't the problem, she was. That she had "overestimated my adaptability". She was biting off more than she could chew...and needed to start smaller and work her way up to the big changes she wanted. I think this is probably the root of my own problems. I have always been an all or nothing person, but maybe I should follow her lead and pick one or two things to start with instead of a full 2 hour morning lineup. So I started highlighting away! The other big takeaway was starting your day immediately with a mantra that sets the tone for your day. She suggests "I feel great and energized! This will be a fantastic day!". I have been reading a lot about repeating mantras or affirmations to yourself, but for some reason it wasn't until reading this that I remembered my Grandmother telling me to do it back when I was in Junior High. I was going through a rough period of family drama, and had been missing a lot of school for "stomach aches". 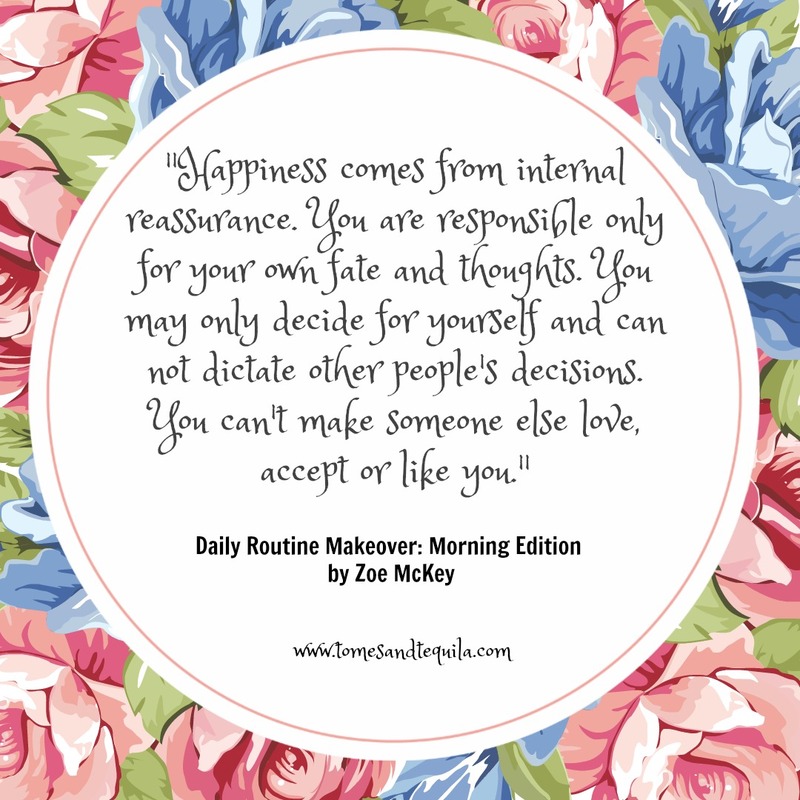 She told me that as soon as I opened my eyes in the morning I needed to tell myself that it was going to be a wonderful day...that it was the key to getting past the drama that my young self would start dreading and worrying over immediately upon waking. Somehow, in the almost 30 years that have passed since then, I've stopped that practice, and I think it's time to start it back up again! The book offers a few other little nuggets including exercise and nutrition tips, all of which are pretty basic. There are tips for people who work shift work, and can't wake up at 5 am to start their day. The author also mentions maybe starting with a 15/15 morning, where you do some fun heart-pumping exercise to music for 15 minutes and then 15 minutes of restful yoga or meditation. Basically all of her tips are bite-sized and easy to implement. For me, it was totally worth the $2.99.